Healthcare Security | BlackHatWing, Inc.
Healthcare reforms and administrative mandates have driven a gigantic change in the business and IT industry. Healthcare applications require extensive and prolonged testing endeavors to prove their adequacy, quality and security before they can be securely conveyed to clients. 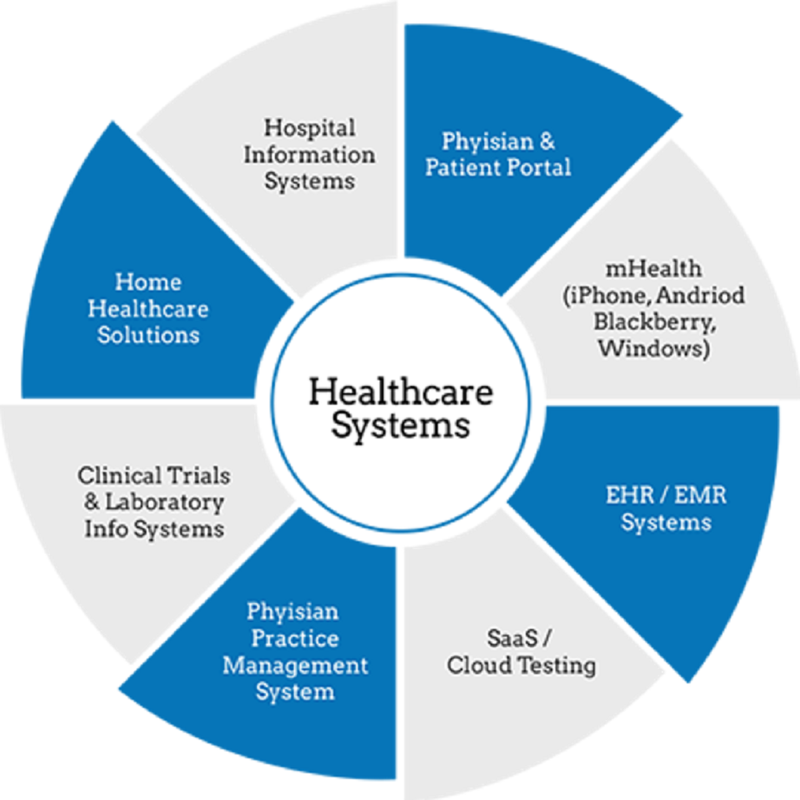 BlackHatWing has a rich spectrum of healthcare testing services which have been carefully designed to meet the challenges of increasing customer expectations, emerging business models, compliance requirements and evolving technological landscape. Blackhatwing has experienced testers who are HIPAA and ICD- 10 certified and well versed with medical policies, procedures and documentation systems. We have a rich pool of test cases which helps us cut down time-to-market for healthcare apps and ensure quality and compliance as per critical standards. By 2018, industry specialists expect 1.7 billion versatile consumers to utilize health care applications through mobile internet. These consumers generally include nurses, doctors, patients, pharmacists and health care professional. With a world class test lab in place Blackhatwing ensures that every healthcare app is optimized for key mobile devices across multiple operating platforms such as iOS, android and windows phone. With exceedingly high remedial costs associated to performance centric issues, it has become critical ever to ensure that a system conforms well to performance and volume targets. Blackhatwing adapts a holistic approach towards understanding your performance needs, as well as identifying the performance deterrents you might be facing. With security breaches on the rise, application level testing takes on new importance. With a range of conformance standards, security becomes a key testing area for any healthcare app. Blackhatwing has the right set of skills and security testing tools to perform comprehensive penetration and security testing. Blackhatwing can contribute to security assessments in various phases such as compliance and implementations. As other industries embrace the TCoE model, health care also needs to make that switch. Introduction of standards, testing processes, test tools and methods will facilitate all major kinds of testing types and hence ensure scalable and robust applications. An all-inclusive TcoE package for healthcare can help achieve a comprehensive and scalable testing framework for evolving healthcare organizations. Healthcare apps are massive in terms of testing scope and maintenance. The best way to handle that is automation testing. Blackhatwing specializes in providing the right mix of licensed and open source tools to help achieve a balance of time and money. We have a wide skill set across creating and maintaining solutions for functional and performance automation. In simple terms, we are a one stop shop for all test automation needs. Copyright © 2017 BlackHatWing, Inc. All rights reserved.